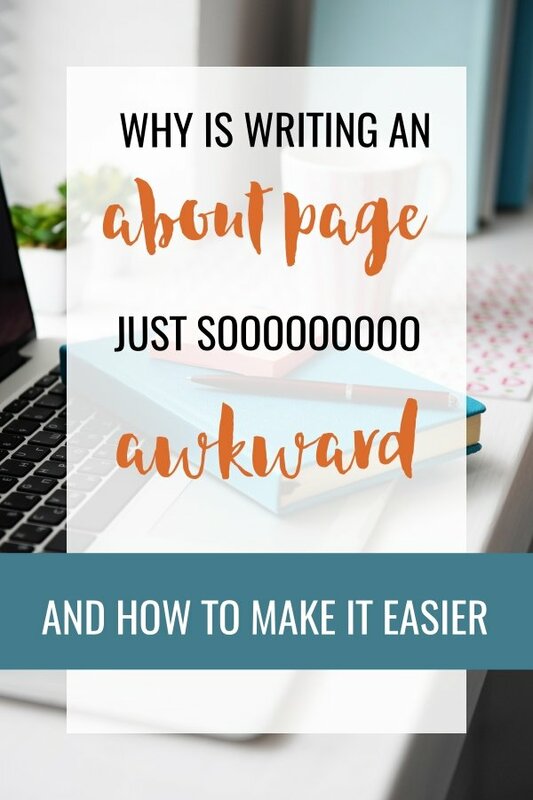 Writing An About Page – Why is it sooooo awkward? And how to fix that. The agony of the About page. Is there anything quite so torturous to write? (yes - sales pages, but lets not worry about that impending doom just yet). 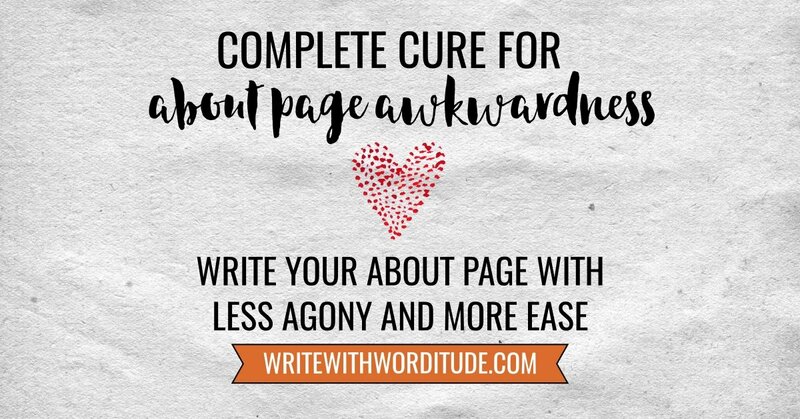 Why is create your About page content so damn awkward and what can you do to ease the pain? To help you write the copy for your small business' About page, I'll take you through the 3 most common reasons my VIPs struggle with this, and what I say to guide them through it. If you’re worried that this is a completely pointless exercise because nobody’s interested in you….if you feel like you’re totally wasting your time, and expediting unnecessary energy crafting a page of web copy that will enjoy approximately three views a month (which is just you checking that it’s still live)….then it’s hardly surprising you’re not filled with creativity. So let’s take a moment to kick those mojo-killing concerns into the stratosphere. Your About page will be the most read page on your website, and it will ONLY be read by people who have chosen to read about you. They know when they go to your About page that they’re going to be served with info ABOUT YOU. The clue’s in the name. Provided you haven’t served up a clickbait headline (Discover How To Make A Zillion Dollars In Just 3 Minutes While You Sleep + Dream Of Kittens) and then direct them to a 1500 word monologue about your life story, they’ll be happy to find your page of web copy All About You. Writing nice things about ourselves is tough. I’m a British introvert so I get double-bubble when it comes to About-Page-Awkwardness. Here’s how you get over this. If you start with a first draft that is an over-the-top, in-your-face, brag-fest of nuttiness - you can tone that down into an exciting, engaging page of web copy. If your first draft is a humble, grey, unassuming mass of boringness - there is nothing you can do to save that drivel. Nothing. When you are attempting the delicate balancing act between bonkers and boring, err on the side of bonkers every time. Then edit, and edit and re-edit until you've got something you are happy with. b) do the work once, yet have it work for you and your business over and over. Something you spend a couple of hours writing may be read by thousands of potential customers. But, pro-writing as I am, I can understand the trepidation many feel when faced with a white screen and a blinking black cursor - so here’s how you get over that. LET IT GO! Stop being a perfectionist. There’s no teacher here to scrawl red marks on your best efforts. Nobody in the whole wide world will see your crappy first draft (except me if you want to join my VIPs and have me polish it up for you). Do not try to write and edit at the same time - you will break your brain. Dump out all the thoughts of your wildly overactive mind, then edit, restructure, cut and paste until your heart’s content. If you’re still terrified by the sight of your keyboard grab your webcam/phone and record a video instead, use it at the top of your About page, with text covering the key points underneath. OK, that should be enough to get you going. Oh, and one last thing. If you're a solo business-builder - please don't we on your website. There's no need to pretend to be a multi-person company. Struggling To Toot Your Own Horn?